Greatly succeed and expand your opportunities by accurately evaluating your sales and forecasts! The opportunity is a deal that you have the possibility to close! Today, opportunity management has become more crucial, as it is directly in link with your company’s sales process. 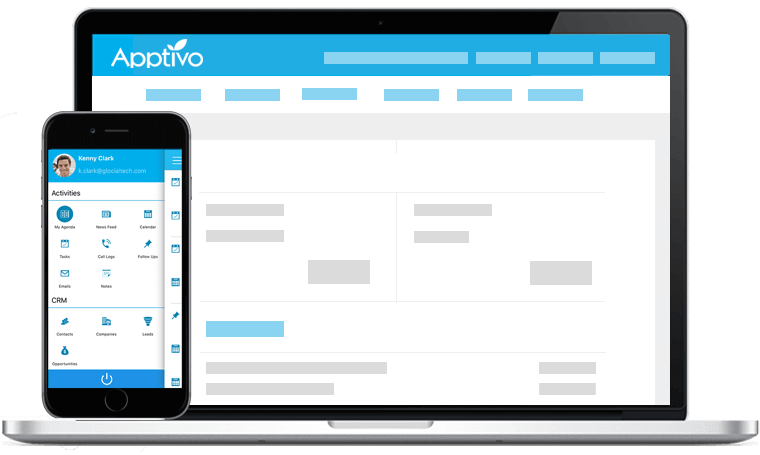 With Apptivo Opportunity Management, organize your opportunities, create multiple potential sales. Collecting opportunities is a crucial thing for a company’s survival and success. 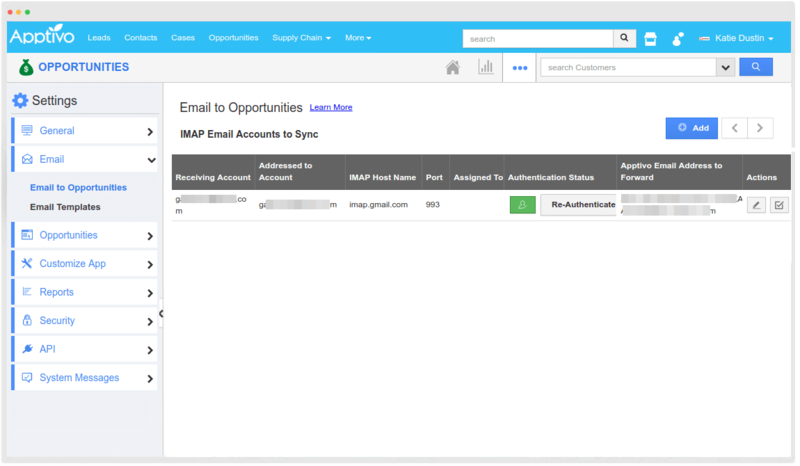 Besides creating opportunities manually, collect and create opportunities automatically from emails you receive. Be a step ahead of the conventional method. Have a prediction on future sales and also the past sales, more visually. Easily review your sales team performance to know their win/loss rates and also allows to view the percentage of the conversion process involved with every app in month and year format. Produce better sales and productivity, with Apptivo Sales Automation software. Effectively track your leads, automate and streamline the sales cycle, making the most of each opportunity. 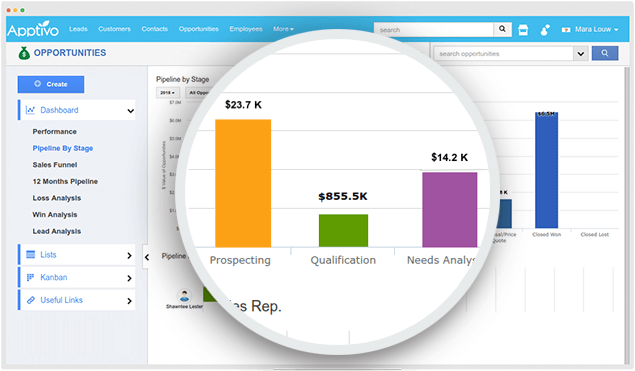 Customize sales forecast reports and gain real time insights. 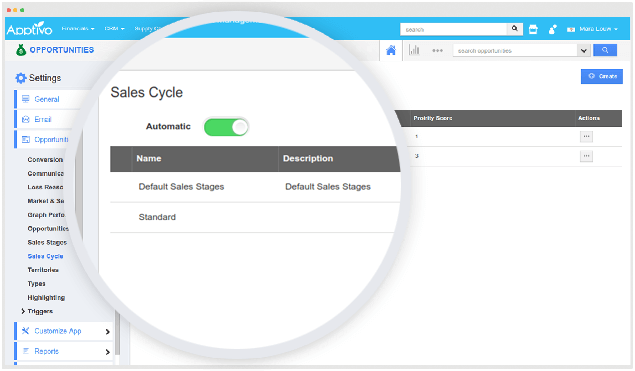 Collective sales pipelines in single dashboard. 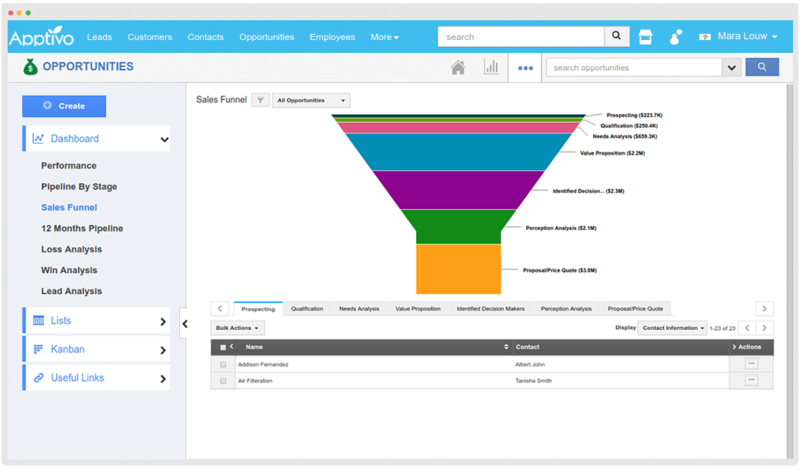 With Apptivo’s Sales Pipeline Management, create and track multiple sales pipelines. Apptivo makes it easier to manage and analyze information about opportunities, forecasts, and goals. 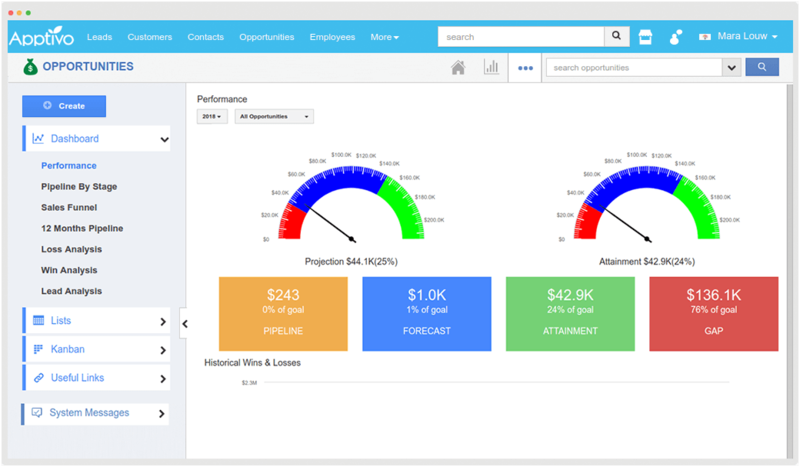 Built-in pipeline reports allows you to visualize opportunities in graphic dashboards. Get to look quickly at the number of deals in a sales stage, and how much the deal is. The kanban view gives you a card view of all your opportunities, based on the sales stages. 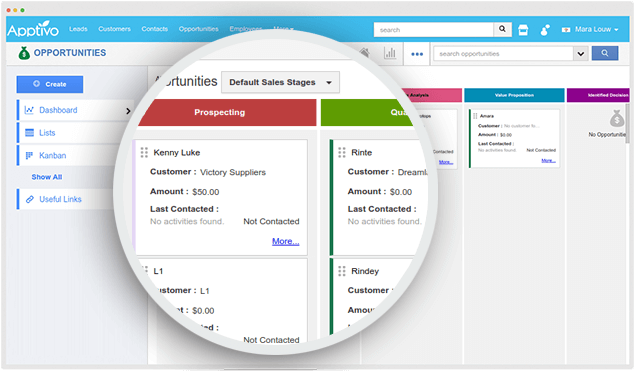 View all opportunities, move them from one sales stage to another by easy drag and drop from the kanban view.